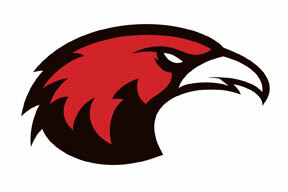 REDDING, Calif. – The Simpson University Red Hawks brand has a fresh look. 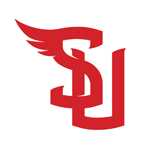 The new design, which features a more sleek, refined red hawk, replaces the logo designed in 2004 when the university changed its mascot name from the Vanguard to the Red Hawks. The redesign was a Simpson University inter-departmental initiative guided by recent Marketing and Communications creative design manager Travis Quam. The new logo appears on the Simpson University athletics website (simpsonu.edu/athletics) and will be seen on uniforms beginning this fall. Keychains with the new logo are available now in the university bookstore (first floor, Owen Center); clothing and other merchandise will be available this month. The transition of the new logo to additional signage and equipment will progress throughout the next year. Simpson University, founded in 1921, is a Christian University in Northern California offering undergraduate, graduate, and teaching credential programs. The athletics program began intercollegiate competition in the 1950s with men’s basketball. Today, student-athletes compete in 12 sports: men’s and women’s soccer, cross-country, golf, and basketball; men’s baseball and wrestling; and women’s volleyball and softball. Simpson University is a member of the National Association of Intercollegiate Athletics (NAIA) and the National Christian College Athletic Association (NCCAA) and competes in the California-Pacific Conference.